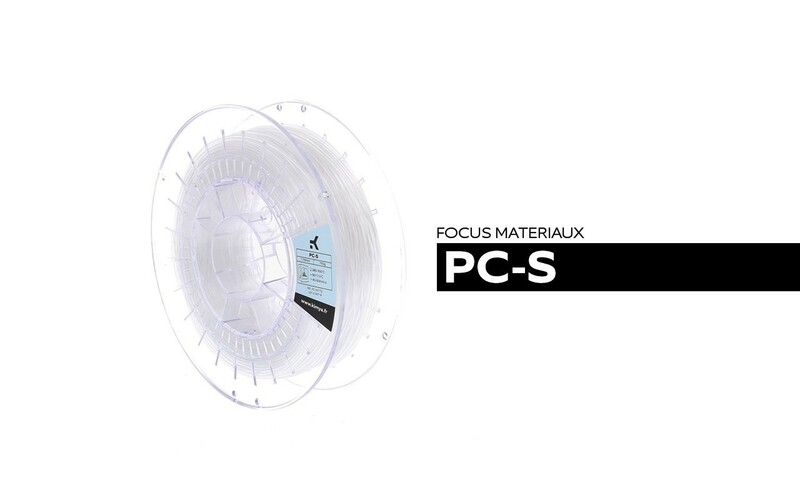 We made the announcement last week in our 2018 Focus on Materials: we have developed a new filament, the PC-S (PolyCarbonate Standard), a member of the polycarbonate family. It is an amorphous thermoplastic that will enable you to obtain transparent parts with high impact resistance. Below we present the main properties of our PC-S and its recommended printing parameters. Our PC-S filament is based on polycarbonate, a plastic material most often obtained via polycondensation with a carbonate but which can also be obtained via transesterification. 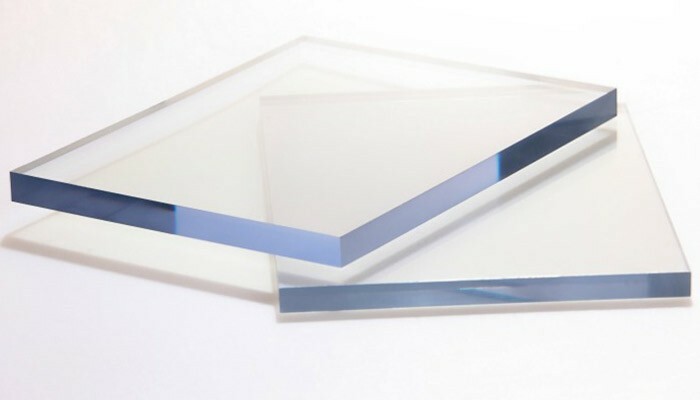 Polycarbonates are especially valued for their transparency, excellent impact resistance and temperature tolerance (from -100°C to +140°C). They also have a low tendency to warping and good dimensional stability. Regardless of the temperature, these armorphous thermoplastics offer excellent impact resistance. Yet thermoplastics have a number of drawbacks. They have limited chemical resistance and tend to give way to an external load; wear and fatigue resistance is quite low. Lastly, it also quite sensitive to UV. However, there are numerous additives that can be incorporated within the formulation of the semi-finished or finished polycarbonate part to mitigate such problems. For further details, please refer to the PC-S technical data sheet. Polycarbonates are found in numerous applications. The high level of transparency make them ideal materials for the manufacture of optical lenses, CDs, DVDs, etc. 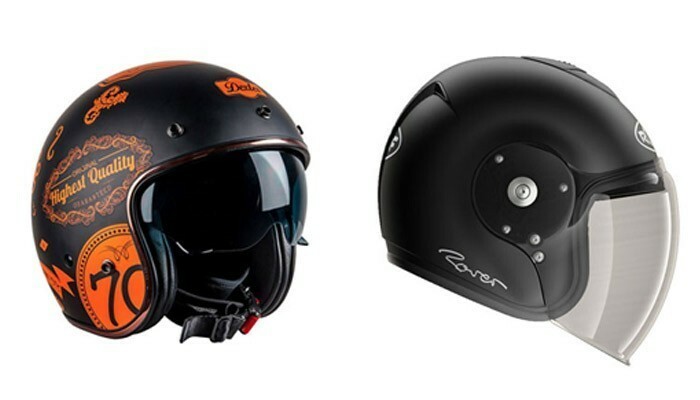 They are also popular in the production of furniture and motorbike helmets thanks to high impact resistance. They are also used in the construction sector, notably in the production of transparent roofing materials. Why should you choose our new material? It will enable you to make parts that are lighter and more resistant than glass, that have low hydrolysis sensitivity and low inflammability. This makes it an ideal filament for the electronics and electrical goods sector, for example. Finally, it can be sterilised and is compatible with food contact applications. Extrusion temperature of 280-320°C, with the ideal being 295°C. A plate temperature of 100-120°C, with the ideal being 105°C. Print speed of 40-70mm per second, with the ideal being 45mm/s. Obviously, the parameters depend on your particular 3D printer. So we recommend that you perform a few tests before deciding which are the right ones for you! Please don’t hesitate to contact our sales team if you need any help in making the right choice!